This is an updated version of an earlier article titled Potted Plants Ease Indoor Air Pollution. by Sarah (Steve) Mosko, PhD. Vall-E-Vents, suppl. to Southern Sierran, January, 2010. 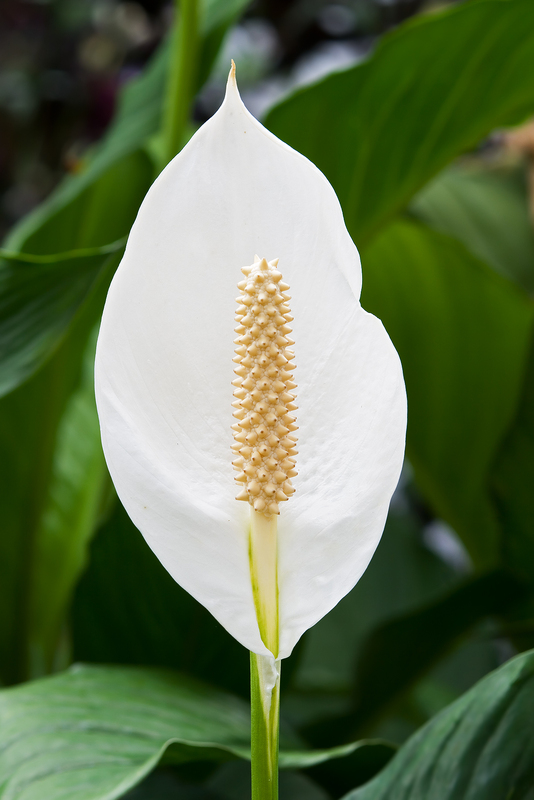 Peace Lily ranks in the top 10. Photo courtesy of Noodle snacks. Appeared in Orange Coast Voice newspaper May 2008, page 11. Australian researchers heeded by Margaret Burchett at the University of Technology have revealed fascinating twists on the potted plant story. Photo courtesy Orange County Voice. It is a widespread misconception that staying indoors avoids exposure to air pollutants. Indoor air quality, in fact, is generally worse because contaminants that arise from a vast assortment of consumer products add to the pollution that drifts in from the outside. Given that urban dwellers pass 90% of their time inside, strategies to improve indoor air quality are of interest to nearly everyone. The chief forms of pollutants generated indoors are known as volatile organic compounds (VOCs) that off-gas primarily from common petroleum-based products. They are impossible to avoid since the sources are nearly endless: furniture, carpeting, paints, varnishes, paint strippers, synthetic building materials, air fresheners, cleaning solutions, toilet bowl deodorizers, personal care products, tobacco smoke, pesticides, and solvents in inks and adhesives.